Christchurch-based academic Anne-Marie Brady should steer clear of China Derangement syndrome. 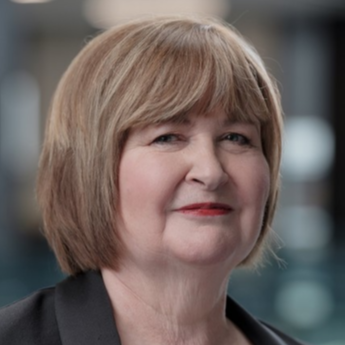 Brady's tendency to sweep many up within a grab net of barely veiled accusations is an unfortunate aspect of her work; particularly when it comes to the New Zealand commercial sector and its dealings with China. Her treatise "Magic Weapons: China's political influence activities under Xi Jinping" is a case in point. Her report comes at a time of heightened strategic competition between China and the US where the Government is dealing with complex issues such as Spark's plan to team up with Huawei and the design of a new national interest test for foreign investment. This calls for cool judgments. It is a given that Brady has academic freedom. But "Magic Weapons" is not a peer reviewed academic document. What is noticeable is that Brady has not obtained direct responses from many of those named in the various sections in her report. Will Ardern's fondness for 'captain's calls' come back to bite her? Take, businesswoman Ruth Richardson who is listed in a section of Brady's paper titled 'Making the foreign serve China." Brady opines that former politicians with access to government are a "valuable commodity". "China's foreign affairs work has always aimed to co-opt foreigners with access to political power to support China's foreign policy agenda," she writes. "But now the focus is on using foreign political leaders to progress both economic and political relations. China's united front approach has always used civil actors to promote political ends. CCP united front officials and their agents are tasked with developing relationships with foreign and overseas Chinese personages to influence, subvert, and if necessary, bypass the policies of their governments and promote the interests of the CCP globally. "A 1997 report by Canada RCMP-SIS identified a pattern of foreigners 32 with high-level political contacts being placed in high profile roles in Chinese companies or Chinese-funded entities in Canada. Examples of this can also be found in New Zealand. Concerns have repeatedly been raised about these relationships in the New Zealand media and in parliament." Richardson is named in the subsequent list: "Former National MP and Finance Minister Ruth Richardson was a director of Synlait Farms and is now a director of Synlait Milk. Shanghai Pengxin - noted for its interest in New Zealand's farms as well as near space - owns 74 per cent of Synlait Farm. The latter statement may be factually true. But the juxtaposition Brady employs leads to unfortunate inferences. A contextual response would have noted that Richardson was a former chair of Synlait Group well before any Chinese involvement (since 2003). And that the originally private dairy company - which was led by the vigorous Canterbury entrepreneur John Penno - had failed to convince New Zealand shareholders to invest their capital with it. After the 2008 Global Financial Crisis, Penno found the going even more difficult due to the impact of the international credit crunch which dried up available capital. In 2010, Bright Dairy & Food, China's third-biggest dairy company by volume, agreed to buy a majority stake in Canterbury milk processor Synlait Milk for $82m. The company was split into Synlait Milk, which was ultimately listed on the NZX (and has the Bright investment) and Synlait Farms which stayed private. Richardson remained a Synlait director under the chairmanship of Graeme Milne. And was subsequently nominated a Bright representative when the company was listed. There were two aspects to this: The Bright-nominated directors were to include a New Zealand resident; and one with sufficient commercial and governance track record for a listed company director. Clearly, Richardson more than fitted that bill. Milne would have been quite confident in her integrity and commitment to Synlait's success. There have been issues. Guo Benghen - the personable Chinese executive who led Bright's investment in Synlait Milk - was scooped up in a Chinese corruption probe. But Synlait itself has been an innovative success. A strong employer in Canterbury. It has driven exports not just to China but to the Asean markets and moved far swifter than Fonterra for instance to invest in value add. As Richardson noted in a paper earlier this year when talking about the NZ investment deficit - " it is no secret that the NZ capital markets refused to fund Synlait at the outset – were it not first for Japanese and then Chinese investment we would have been stopped in our tracks." Does this make her a political tool? Hardly, as would be apparent by the range of commercial roles she also holds including chair of NZ Merino, KiwiNet and Syft Technologies. Yes she is a Bank of China director. But having political nous as well as business smarts should not be a disqualifier. Notably BOC is governed by the Reserve Bank here of which Richardson is also a former director. Nickels talked about the use of electric waste trucks. How the company collected waste; extracted valuable recyclables, sent the residual component to landfill, digested it anaerobically to produce methane and produce sustainable renewable electricity used to power the fleet. His contention was the investment in innovation would not have been possible under its former ownership (it was listed on the ASX). It is not all smooth sailing with off-shore investment. There are issues which do arise: Agria's sorry tale with PGG Wrightson is a case in point. But tarring the reputations of all former politicians who have sought to do business with China is just unfair.